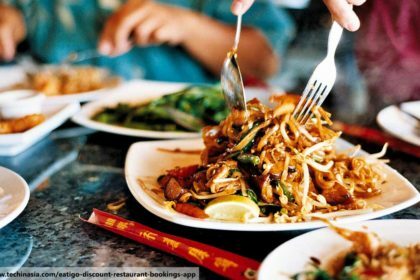 Thai food isn’t just about the phad Thais, somtams and chicken with cashew nuts. It’s a very diverse cuisine, with unique offerings from every corner of the country. 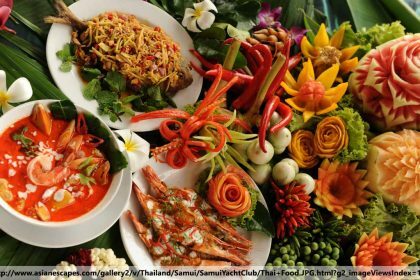 The south, around Phuket, is mostly famous for its spicy seafood dishes, which is hardly surprising as the fishing is so good. By contrast, the north offers up more hearty and less spicy dishes to suit the more seasonal conditions in the mountains. 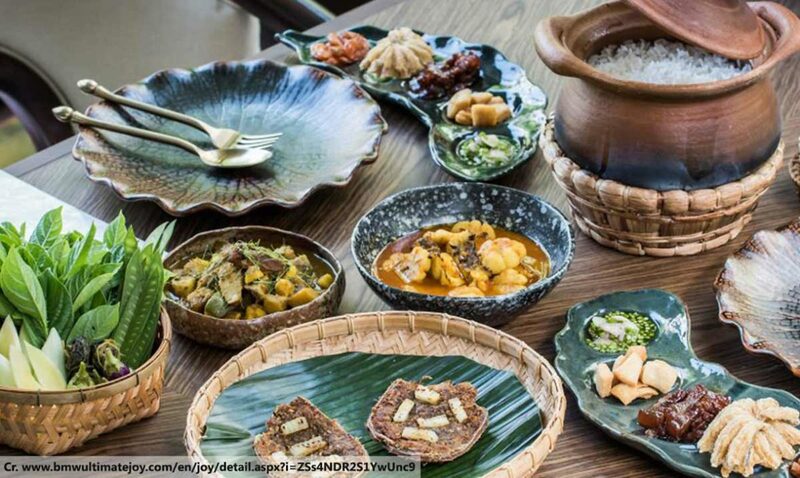 Check out some of the best dishes from northern Thailand which are very much worth a try. This is probably the most famous northern Thai dish – the equivalent of Phuket’s tom yam soup or somtam in the Issan provinces of the northeast. It consists of a rich curry broth containing a wheat-and-egg noodles, pickled vegetables, some ground chillies and a squeeze of lime. As with most Thai soups, you can get it with various meats, but the most common is chicken – generally quite a hefty lump of the stuff, such as a leg or two. It’s best known as a Chiang Mai dish, and the best examples of it are certainly found there, but it is available in some Phuket Thai restaurants, too. It’s simplest to think of this particular dish as being something like a German Bratwurst. It’s quite a spicy pork sausage, thanks to the many fresh herbs and spices it contains. It’s also usually served with a spicy dip. This is quite a common dish across the northern part of Thailand and is generally more associated with the northeast, giving it the nickname “Issan sausage”. It’s fairly easy to find in Phuket, too. 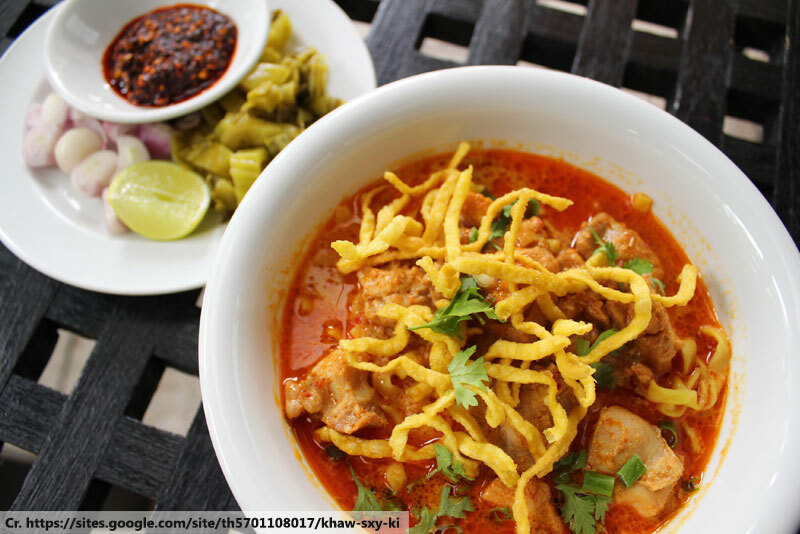 This spicy pork curry is thought to be an adaptation of a Burmese dish. In fact, even the name is a variation of the Burmese word for ‘curry’ (“hin”, which becomes “hung” in the Thai version). 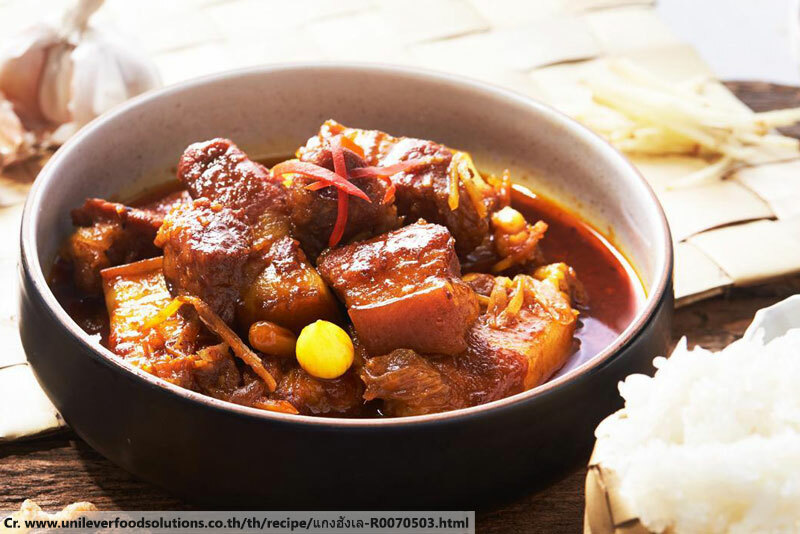 Containing fatty pork belly cooked in a mild spice mix, it’s good for keeping you warm on a cold night in the mountains, but isn’t going to melt your tonsils like the more spicy southern dishes. It’s popular enough to still be available in some Phuket Thai restaurants, especially those attached to hotels. Sukhothai-style noodles are relatively light, by comparison to most northern Thai dishes. Served in a sweet broth, you’ll find par-boiled long beans and beansprouts, pork, ground peanuts, fresh herbs and, of course, rice noodles. It’s got next to no spiciness to it, which is fairly unusual for a Thai dish. You can have it served with or without the broth. If Sai ooa is the Thai version of Bratwurst, then Khao kan chin is the Thai version of blood pudding. 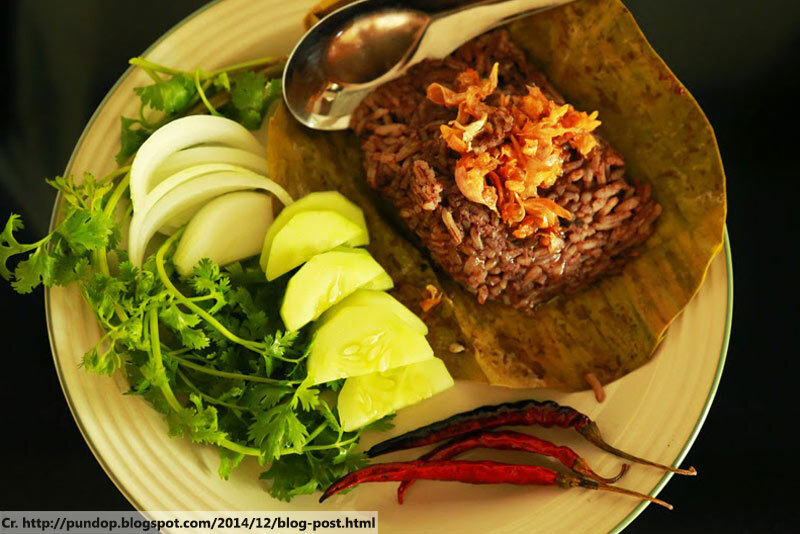 It consists of rice mixed with minced pork and pig’s blood, with a dash seasoning, all wrapped up and steamed in a banana leaf. As bizarre as it sounds, it’s very popular among Thais, though it isn’t that easy to find in Phuket Thai restaurants.